Even after all these years of doing what I do, I constantly find myself amazed at how some people are completely incapable of telling the truth, even though they have to know that it will take someone like me little time to uncover that they've lied. Take the Candidate's Forum held last night in Miami Shores by the Miami Shores Homeowners Association. One of the questions asked all of the candidates was where they got their donations from, and whether any of them had received any money from PACS. They all denied receiving PAC money, including Christian Ulvert who gave the usual song and dance about how his money was coming from his family and friends. He was very clear and forthright however in denying that he had received any money from a PAC. Since I had posted on this site a copy of Ulvert's first campaign finance report on Monday morning prior to this meeting, it only took me about a minute when I got home to pull up his campaign report and find 2 clear cut donations from PAC's, each for $1000. Both of them had interesting back stories. 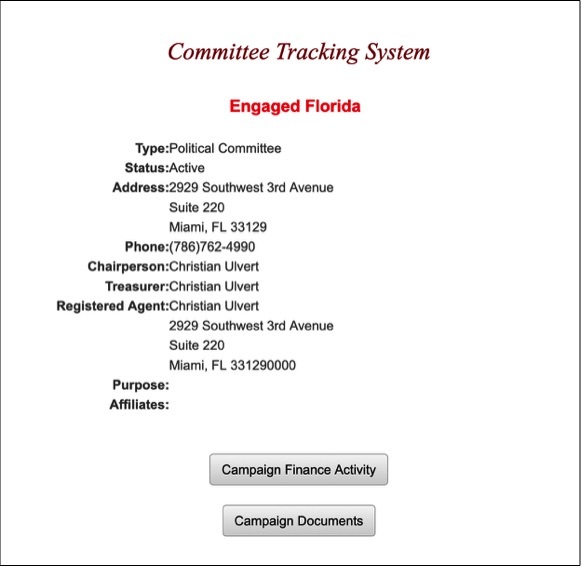 Ulvert's first campaign donation came from the PAC, Engaged Florida. While Ulvert's PAC could be considered a Democratic PAC, Lopez's PAC could be considered a Republican PAC. You can go and look at all of the donations and expenditures of his PAC by clicking HERE. Lopez, used to be an insider's insider at County Hall when he was considered Mayor Carlos Gimenez's favorite lobbyist, but he had a falling out that was detailed in a Miami Herald story in 2015, and which I touched on briefly in a 2017 story about the tangled connections of lobbyists and campaign operatives bouncing between Gimenez and Miami Mayor Francis Suarez. 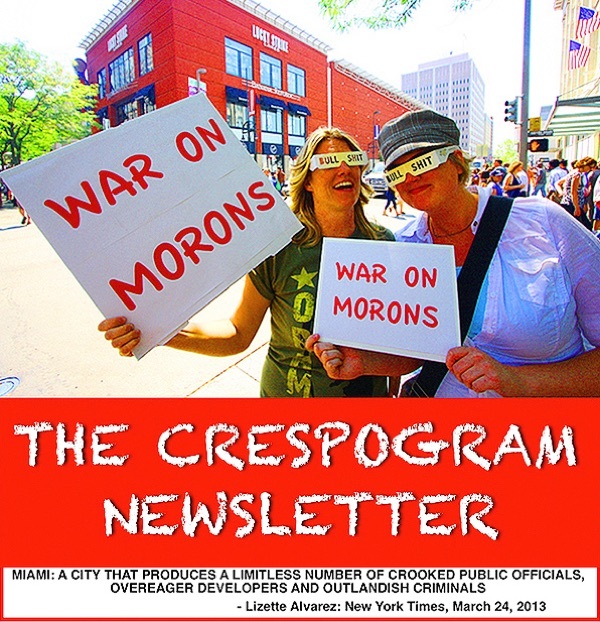 Lopez is just one of a number of folks that Miami Shores could probably expect to see wandering in and out of Village Hall if Ulvert gets elected, but for now, the important thing for folks to focus on is that when Christian Ulvert was asked a direct question as to whether he had received any money from a Political Action Committee, he lied! Lie to you once, shame on him, Lie to you twice, shame on you! If you do go and look, you will discover the revolving door way that money goes from one candidate to another, and how the use of these PAC's provides a way to give money and receive money from the same small circle of political players. 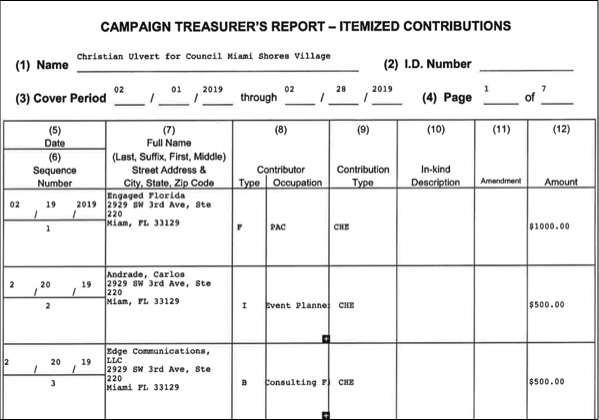 For instance Ulvert was the campaign manager for Philip Levine's failed run for Governor, and gave him $3000. Levine returned the favor by giving him $1000. 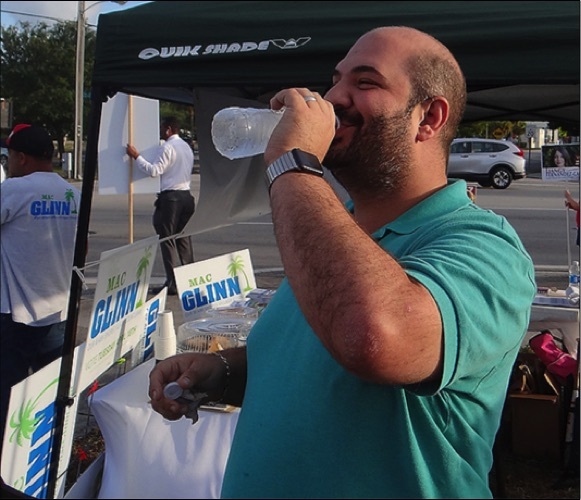 He gave $1000 to current Miami Beach Mayor Dan Gelber, and Gelber gave him $1000 back. He also received $3000 from Michelle and Michael Worley and their company, MDW Communications, LLC, a Washington D.C. political marketing company that he had used several times in 2015 and 2016. The connections and round robin give-and-receive is relatively easy to follow if anyone wants to take the time to trace all the connections down.